Similar to our MM23000C series in length and width, the ''piggyback'' design allows for many features in a small package. 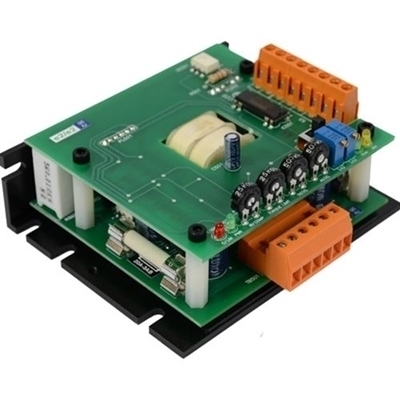 The MM10-115AC-PCM series drive accepts non-isolated voltage (0-10VDC) or current (4-20mA) signals coming from an in-plant process, programmable logic controller, motion controller, etc. to control speed. A quick connect removable terminal block allows users to quickly detach the drive without disconnecting the wires from the terminal block. Also included is an optically isolated normally-closed stop and normally-open start input. This allows remote starting and stopping of the motor with switches or pushbuttons.